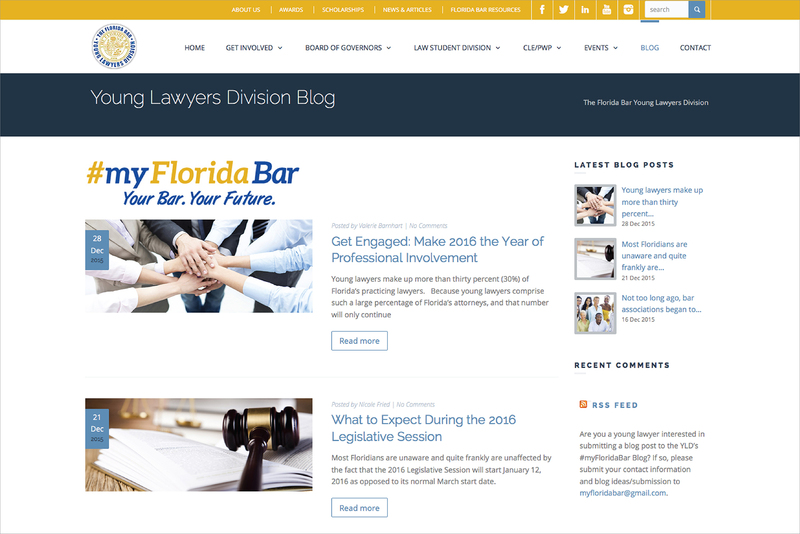 With over 26,000 members, the Young Lawyers Division of The Florida Bar represents lawyers in the State of Florida that are 36 years of age or younger. 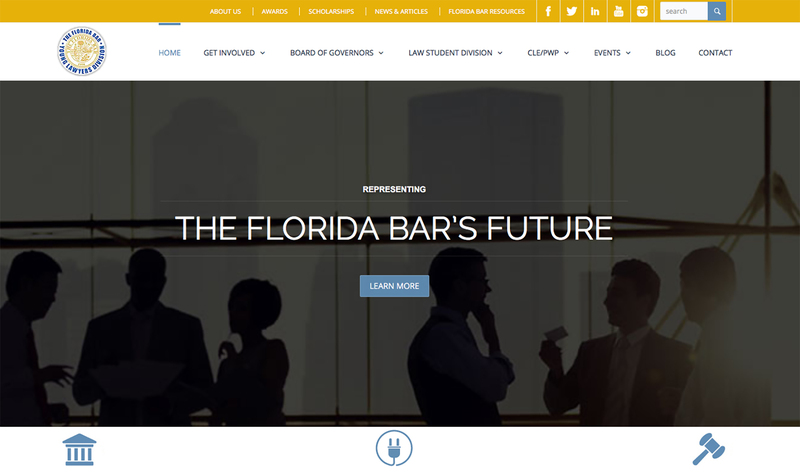 They represent a division of their parent organization, The Florida Bar, and provide programing, activities and projects for their members. 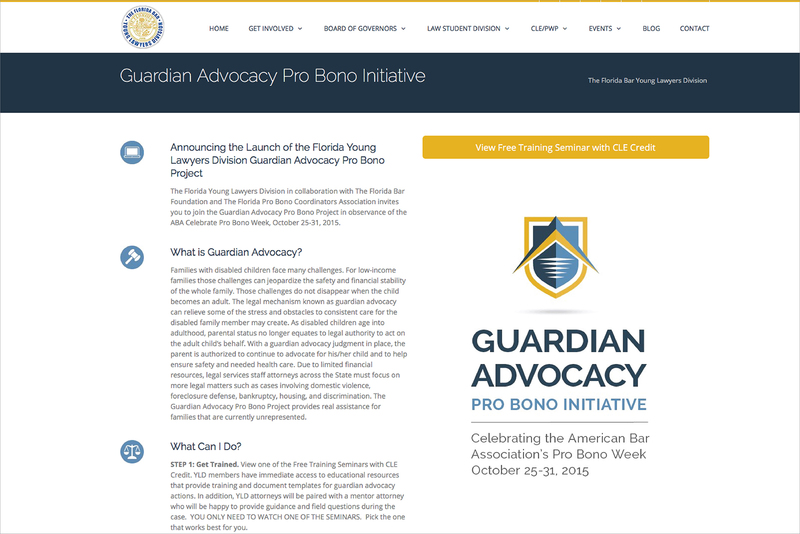 Candour worked tirelessly with their website committee and Board of Governor’s to develop, create and launch this 200+ page website that continues to grow and evolve as the organization changes. 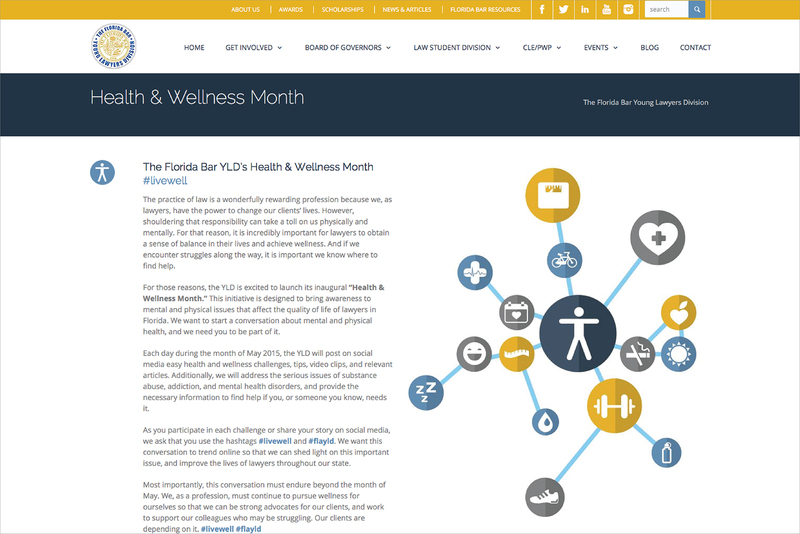 Since the website’s launch, Candour also continues to maintain the website on a daily basis to make edits to photos and text, to add webinars and videos, as well as to maintain their weekly blog.